carnicolor Meyrick, 1931 (Argyroploce), Exotic Microlepid. 4: 133. TL: Indonesia, "Java, Kediri". Lectotype: IPDB. male. doxasticana Meyrick, 1881 (Penthina), Proc. Linn. Soc. N. S. W. 6: 644. TL: Australia, "New South Wales, Sydney". Syntype: BMNH. male. eurypolia Turner, 1946 (Eucosma), Trans. R. Soc. S. Austral. 70: 209. TL: Australia. Burleigh Heights. Holotype: ANIC. male. 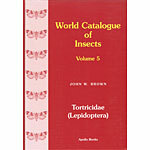 phoenicoplaca Turner, 1945 (Tortrix), Trans. R. Soc. S. Austral. 69: 62. TL: Australia. "Queensland, Cunnamulla". Holotype: ANIC. female.